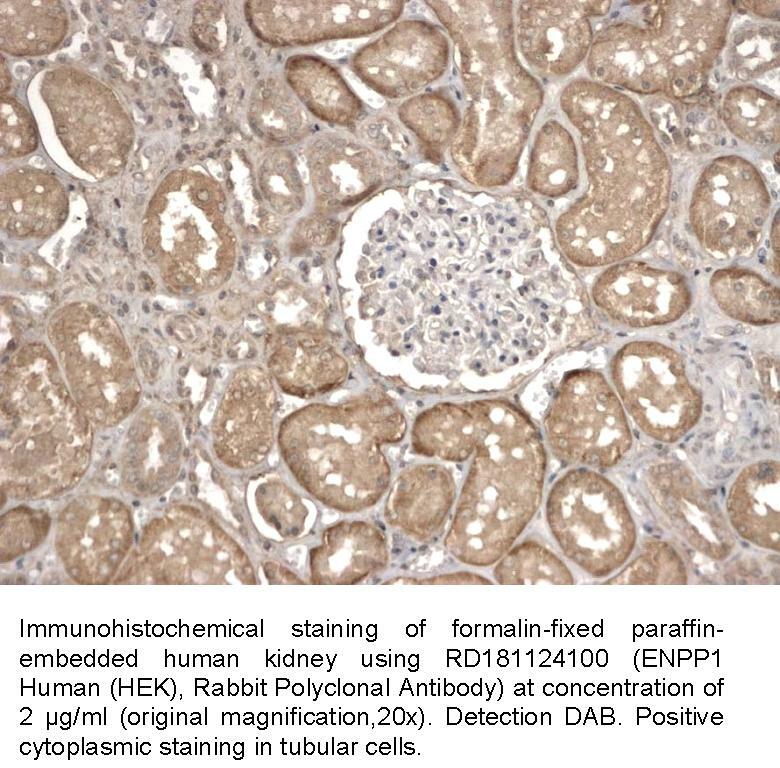 The antibody was raised in rabbits by immunization with the recombinant Human ENPP1 Protein. Total 840 AA, UniProt P22413 (Lys98-Asp925). MW: 96.5 kDa (calculated), migrates at ~ 110 kDa on SDS PAGE; N-terminal linker (2 extra AA), C-terminal linker (4 extra AA) and C-terminal His-tag (6 extra AA). Immunoaffinity chromatography on a column with immobilized recombinant Human ENPP1 Protein. Anisoara C et al. (2004): Biochem J 381: 71-77. Goldfine ID et al. (2010): Endocrine Rev. 29: 62-75.